The Herzlia pupils who play in the Cape Town Metropolitan Futsal League, both successfully captained the Maccabi SA U16 team that won the bronze medal at the 2017 Maccabiah in Israel. 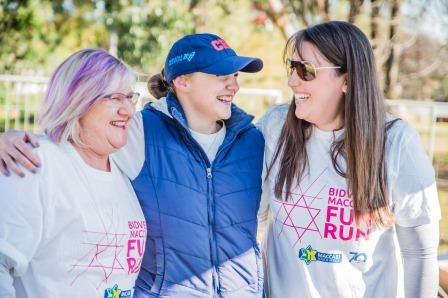 They have also been selected for the Maccabi SA U18 squad taking part in the European Maccabi Games (EMG) in Budapest in July 2019. The South African Futsal Federation (SAFF) announced the U20 team following trials which were held in Durban and Cape Town. Aaron and Jordan’s hard work and many hours of training paid off with their call-up to the national side, where they were a few years younger than their U20 team mates. Ronen Cohen, Maccabi SA Futsal Convenor and the boys’ coach, along with coach Reon Siyaya, is very proud of their selection. “These two young boys have been playing futsal for the past eight years with Maccabi SA, putting in a tremendous amount of work both on and off the court, showing us all what you put in, is what you get out, resulting in being selected for the national U20 Futsal team. I am extremely proud of their accomplishment’’, said Cohen. In the group stage of the U20 World Cup, South Africa were drawn in Group B, along with hosts Colombia, India and Australia. Group A featured Argentina, Spain, Morocco and Bolivia, while Group C included Paraguay, Brazil, Italy and USA. South Africa convincingly beat Australia (5-2) and India 7-2 (including a goal by Isserow), losing to hosts Colombia (1-4). SA progressed to the Quarter Finals as runners up of Group B, where they faced Spain. The match was tightly contested, with SA coming back from 1-4 down with five minutes left on the clock, to draw 4-4. SA went ahead 5-4, then conceded a goal for 5-5. After four more goals, the full time score was 7-7. In some further nail biting action in extra time, Spain scored in the final minute, winning the game 8-7. Spain went on to win the U20 World Cup, defeating Argentina in the Final. Congratulations! On their return to South Africa, Isserow and Arelisky were very proud of how well South Africa performed overall and their own achievement. 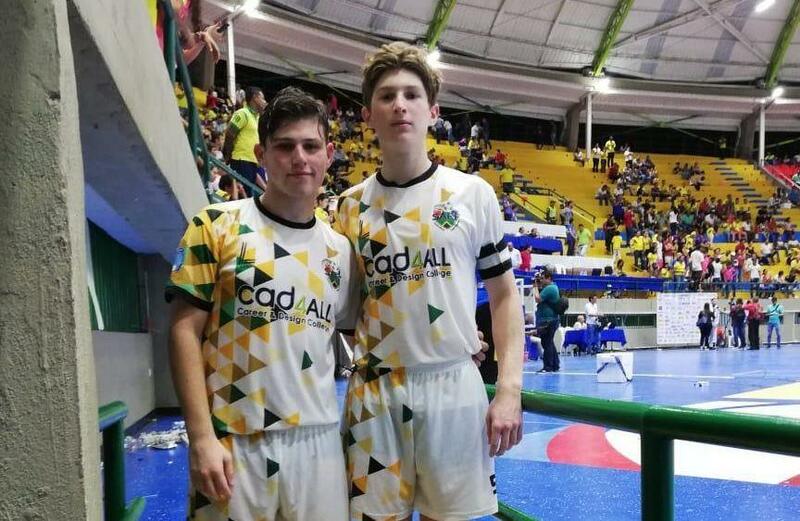 “I felt so proud to be able to represent my country in the U20 Futsal World Cup in Columbia. We all learnt so much over there and loved the entire experience,’’ said Isserow. ‘’It was such an unforgettable experience and I learnt a lot about the game which I will also share with my Maccabi team mates. I am glad to have been given the opportunity to represent my country at such a high level event,’’ added Arelisky. Maccabi SA Chairman Cliff Garrun commented: ‘’Mazeltov to Aaron and Jordan on being selected for the national team and performing well at the U20 World Cup. It is an outstanding achievement and we are very proud of them. Futsal has grown from strength to strength in both Cape Town and Johannesburg under Ronen’s leadership, and we look forward to a very competitive European Maccabi Games in July 2019, where we are entering four teams. The boys experience at the World Cup will no doubt be very valuable’’.